Venezuela's president and Supreme Court backed down Saturday from a surprise move to strip congress of its legislative powers that had sparked widespread charges that the South American country was no longer a democracy. President Nicolas Maduro asked the Supreme Court in a late-night speech to review a ruling nullifying the lawmaking body after that decision set off a storm of criticism from the opposition and foreign governments. The court on Saturday released new rulings that apparently reinstated congress' authority. It was a rare instance of the embattled socialist president backing away from a move to increase his power. Opposition leaders dismissed the backtracking as too little too late and called on Venezuelans to take to the street Saturday morning against what they called an attempted coup. They said the clarification issued by the judges only proved yet again that Maduro controls the courts and there is no longer a real separation of powers in Venezuela. 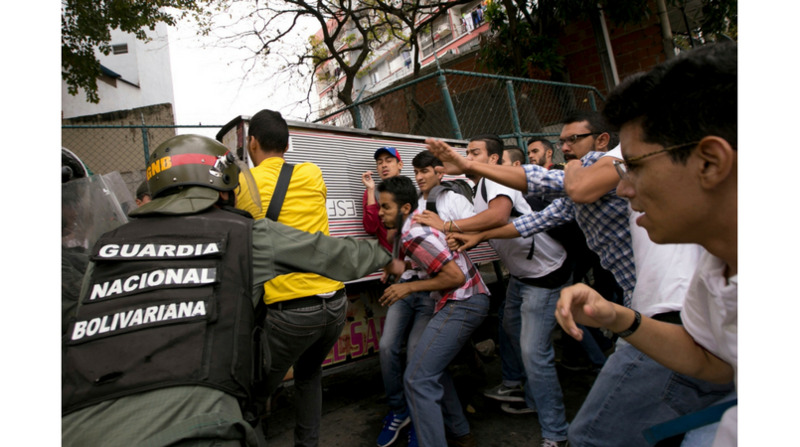 "The dire situation we're living through in Venezuela remains the same. There is nothing to "clarify" when it comes to respecting the Constitution," said moderate leader and former presidential candidate Henrique Capriles. At the same time, administration critics celebrated the reversal as proof that cracks are beginning to show in Maduro's control of the country, with his approval ratings dipping below 20 percent amid a worsening economic and humanitarian crisis. Maduro made the announcement after an emergency Friday night meeting of the National Security Council that was boycotted by congress leaders. He said be council was supporting a review by the court "with the goal of maintaining institutional stability." "April is starting on a good step. Constitutional victory!" Maduro with a grin, flanked by a dozen officials. 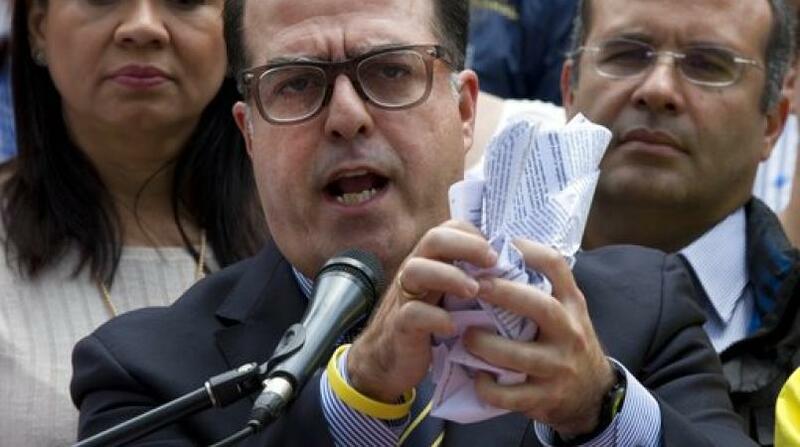 The three-hour meeting capped an extraordinary day in which Venezuela's chief prosecutor and long-time loyalist of the socialist government broke with the Maduro administration and denounced the court ruling. Luisa Ortega Diaz said it was her "unavoidable historical duty" as the nation's top judicial authority to decry what she called a "rupture" of the constitutional order. Small protests popped up all around the capital beginning at dawn Saturday. Troops from the National Guard fired buckshot and swung batons at students protesting in front of the Supreme Court, and several journalists had their cameras seized. As some analysts began to protect the beginning of the end of 18 years of socialist rule in Venezuela, Maduro invited congress president Julio Borges to speak with him about the situation. But Borges has refused, breaking a years-long streak in which the opposition ramps up pressure on the administration only to help diffuse it at the last minute by coming to the bargaining table, usually fruitlessly. "In Venezuela the only dialogue possible is the vote," Borges said Friday night. Maduro, dressed in black and waving a small blue book containing the Venezuelan constitution, likened the international condemnation of the week's Supreme Court decision to a "political lynching." The Supreme Court ruled late Wednesday that until lawmakers abided by previous rulings that nullified all legislation passed by congress, the high court could assume the constitutionally assigned powers of the National Assembly, which has been controlled by the opposition since it won a landslide victory in elections in late 2015. The ruling had brought down two days of condemnation by governments across Latin America, and also the United States and the United Nations. Colombia, Chile and Peru withdrew their ambassadors over the ruling. The South American trade bloc Mercosur, which suspended Venezuela in December, called an emergency meeting for Saturday in Argentina. And the Organization of American States announced that it would hold an emergency meeting at its Washington headquarters Monday to discuss what Secretary General Luis Almagro called a "self-inflicted coup." 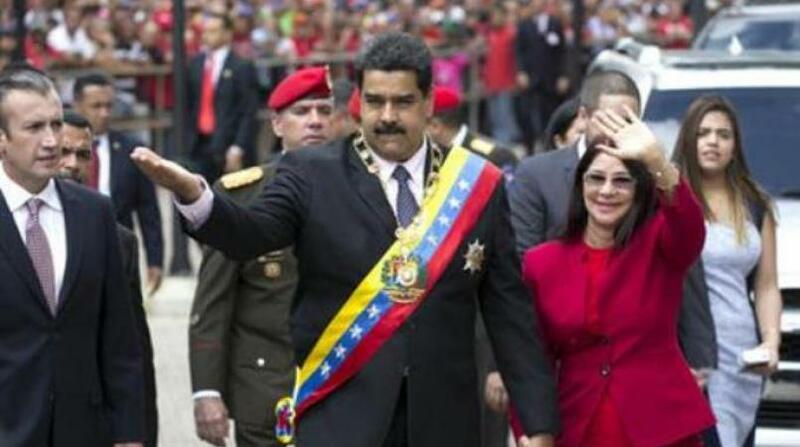 Maduro was conspicuously silent during much of the two days of turmoil. He concluded his remarks Saturday morning with a call for more dialogue. "I'm ready with whoever is willing," he said.